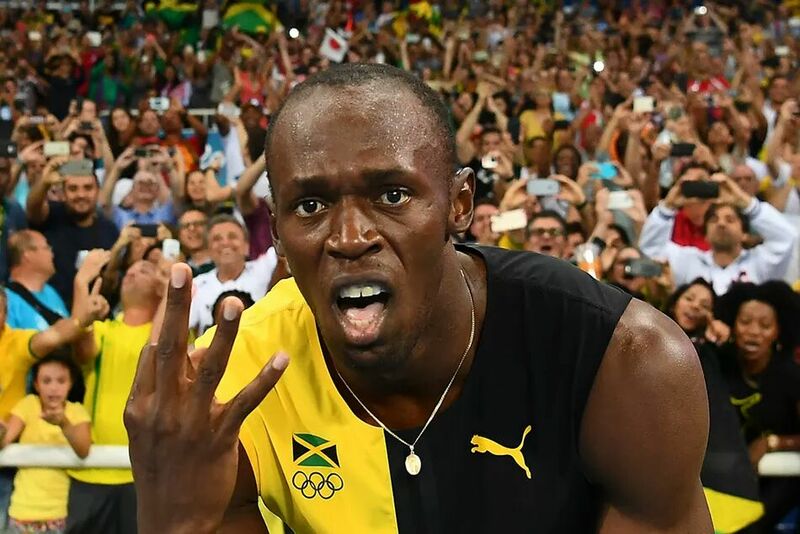 Usain Bolt completes Triple-Triple and the last RIO Schedule! 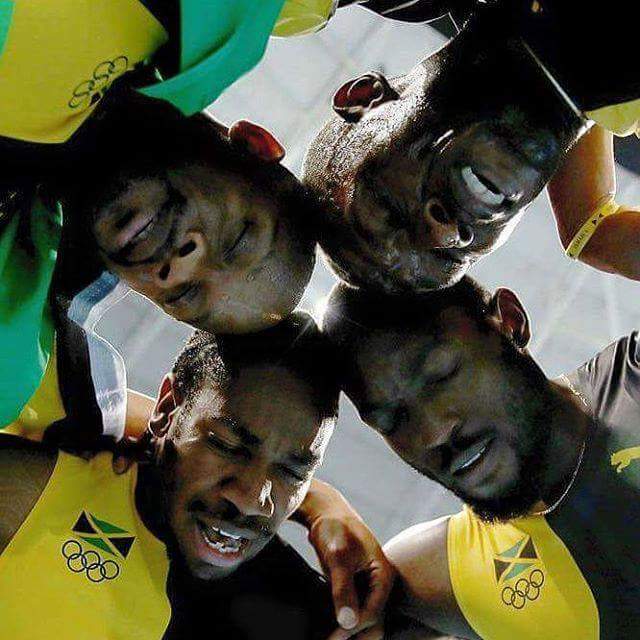 With full effort and smoothe baton changes, Asafa Powell, Yohan Blake and Nickel Ashmeade all helped the G.O.A.T, Usain Bolt to win Gold in the Men’s 4×100m Relay to create even further history by completing the Triple-Triple or what some people also call the Triple Treble. Either way, words can’t express the feeling of witnessing something so great and we can boast for a long time or maybe forever about witnessing this in our era. Japan got the Silver and USA who initially got the Bronze were disqualified along with Trinidad and Tobago. Canada, who came 4th had their result upgraded to receive the Bronze. JA Ladies got the Silver in their 4×100m Relay. 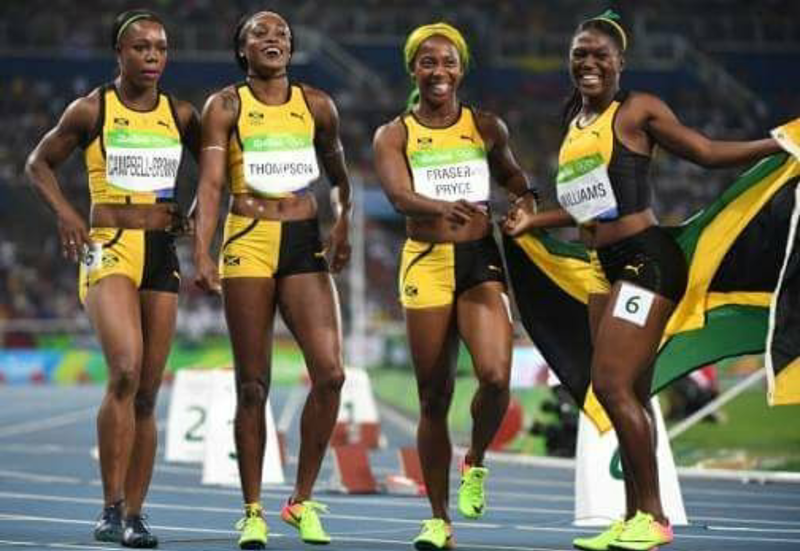 USA had faster ladies on paper but Jamaicans being spoilt would of course love to see our Ja ladies pull off the Gold, which was indeed possible. However, ALL 3 changes were bad. They did not execute as well as the Men. There was a messy change between Christania and Elaine. Elaine probably played it safe and did not run out far enough, failing to receive the baton with a fully outstretched arm. USA were ahead of us on the stretch and did their 2nd exchange before we did. Elaine’s change to VCB took too long with VCB’s hand stretched out waiting for the baton. VCB did well making up ground on English Gardner but then made a similar change to Shelly-Ann Fraser-Pryce. So by the time Shelly was able to run off with the baton, Torie Bowie on the extreme inside of us was already gone. The Lane 1 given to the US ladies actually worked to their advantage. Maybe, it would have been better if they got Lane 8 but given the bad baton changes by Ja it probably would not have made a difference. So USA won the Gold and Great Britain got the Bronze. Well tried to our Jamaican ladies! Now for today, we are hoping for a well executed race from our ladies for the 4×400m relay. We have the potential to beat the US and win Gold. USA’s, Allyson Felix will cause a lot of trouble with her leg but I don’t believe they have another Sanya Richards-Ross. They will still clearly have the advantage since their 3 ladies were in the 400m Final versus our 2. The Men have a chance to get the Bronze in their 4×400m Relay. 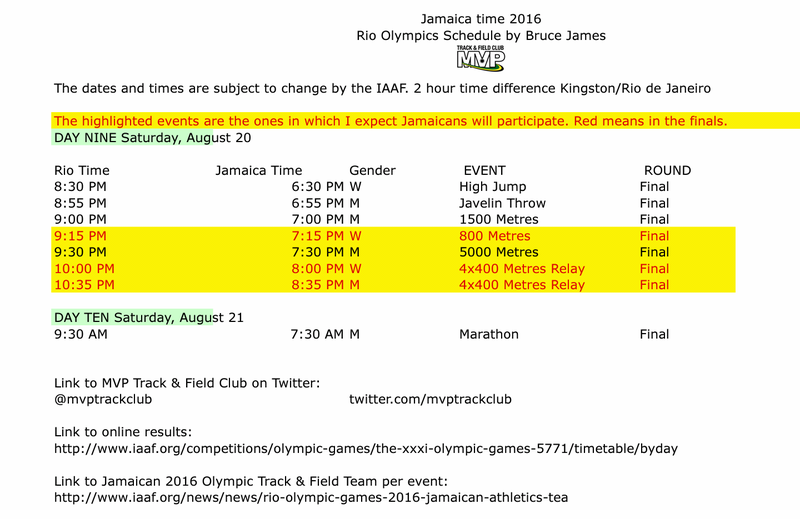 Previous PostLine-up Change for Men’s 4×100m Relay!Next PostThrowback Tuesday to RIO Olympic Moments!